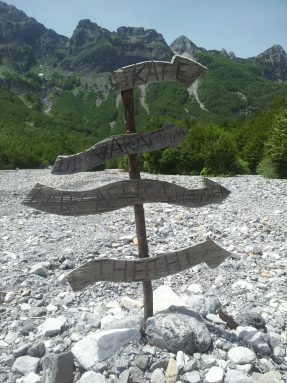 On the 17th of June, I started at the end of the asphalt road in the Valbona river valley. From there, a four wheel drive track leads you to some small villages with charming little bars where they serve local food and drinks. 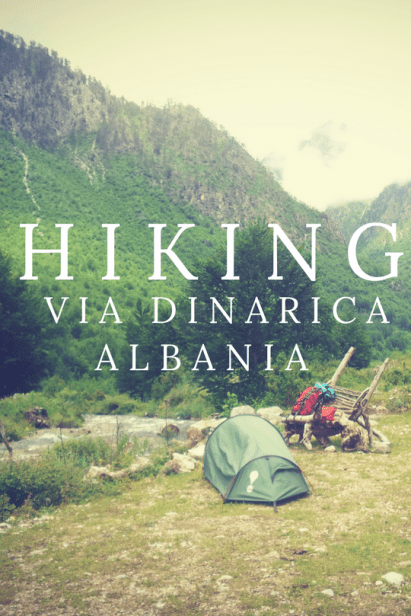 The route from Valbona to Theth is one of the most popular day hikes in Albania and is also part of the Peaks of the Balkan trail. Despite the though climb and the adventurous steep parts, many tourist give it a try. Halfway I stopped at “Somoni Kafe” and ended up talking all afternoon with the father and son who were running the place during the summer months. I felt no need to go on, so I put up my tent at their bivouac spot and sat down for another chat with the two men. The next day I continued hiking up and down the steep mountain passes. 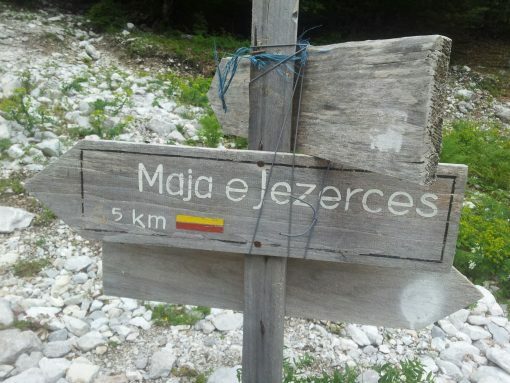 Prokletije, the accursed mountains were actually covered with colorful flowers, herbs and all sorts of butterflies. After Thethi I met just a few other hikers, but most of the time I was all on my own. It’s great to feel the strength of the nature all around you, but it can be scary too. The dark clouds and strong wind forced me to stay in the valley. I couldn’t climb Maja Jezercë, Albania’s highest mountain, because of the weather conditions. 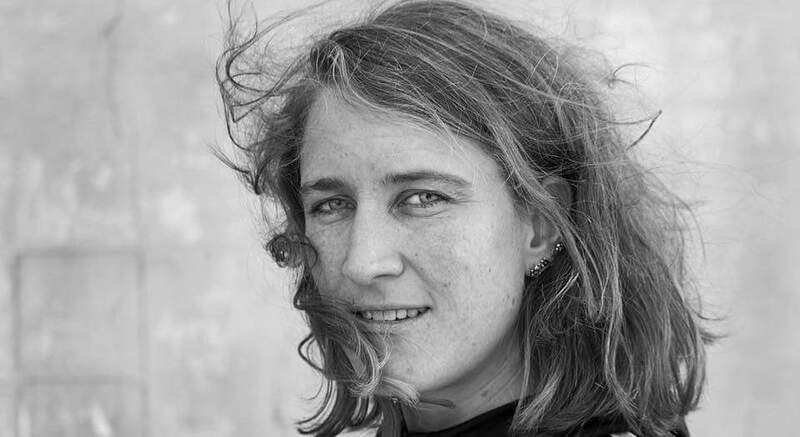 On the other hand the unpredictable weather brought me into unplanned, unique situations like spending the night in a Alpine mountain hut whit a shepherd family. Mushroom of Concrete, typical Albanian bunkers from the cold war. The people I met along the trail were friendly and very helpful. They offered me places to sleep and even left me with the keys of their house while they went out for a family diner. The Albanian language had been hard, impossible to understand, but it never really was a problem. I met an old lady who went up into the mountains with her sheep, every day. On the way down to her house she showed me her favorite view points and sang a beautiful song while we were holding each others hands. It’s these moments that don’t need words. And it’s these moments that mean the world to me. Above Vermosh where I met the sweet shepherd lady, Drande. Crossing the border to Montenegro from Vermosh was interesting. Via Dinarica has got GPS tracks you can download from their website. I did not expect a marked trail, but a path or something that looked like a hiking trail would have been nice. After several tries hiking, climbing, crawling through bushes, I gave up. Went back with the old shepherd lady and tried an alternative route the next day. It was hard to find, steep and completely overgrown, but I managed to reach the border. I’m still curious if it’s possible to follow the GPS track, but on the other hand I think that the trail to Rikavačko Jezero is an amazing hike with spectacular views. 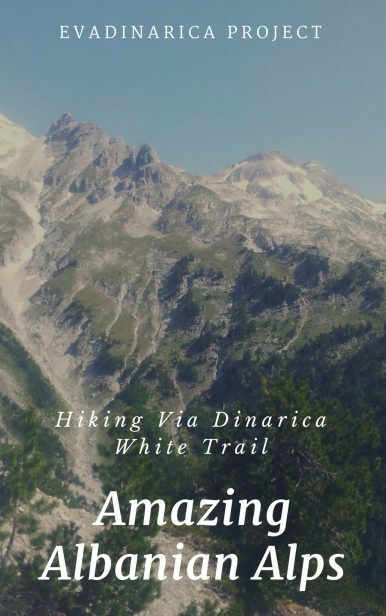 I recommend the other Via Dinarica hikers to follow this route, because it will bring you to the most beautiful lake I have seen in Montenegro, Rikavačko Jezero. Like this? You can support me on Patreon.